The controlled dissipation of electrostatic charges is increasingly important in conveying technology. Conveyor systems for sensitive goods, such as electronic components, have to be constructed from materials that avoid static build-up by means of controlled dissipation. Previously, however, materials with antistatic properties had reduced sliding properties. Due to the high demand, we have now equipped our proven sliding material LubX® with antistatic properties and developed the new antistatic sliding material LubX® AST black. 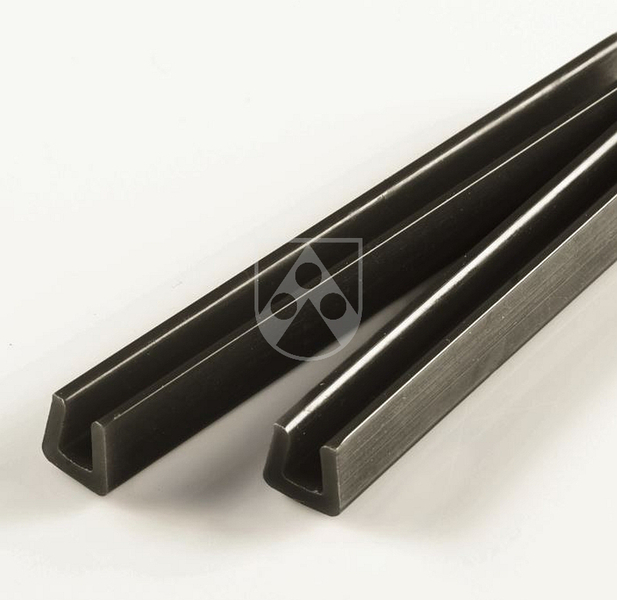 LubX® AST black combines excellent tribological properties with controlled electrostatic dissipation and is specifically designed for machines in conveying systems that have to be operated at high speeds. 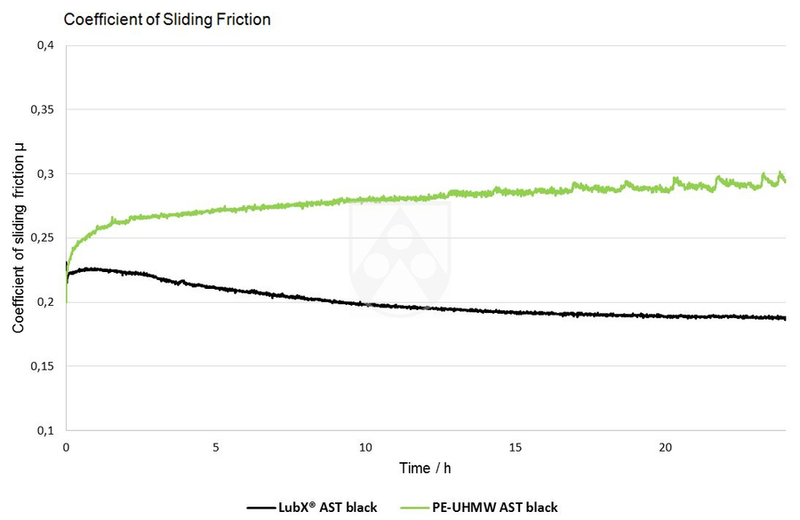 In comparison to standard antistatic materials for machine construction, LubX® AST black, with a sliding friction coefficient of µ: 0.19, offers more than 30% better sliding properties. In combination with permanent antistatic properties, LubX® AST black improves the economic efficiency of your transport processes and allows controlled dissipation.